It took a lawsuit by former Oklahoma State pitcher Andy Oliver, as well as mounting public pressure, for the NCAA to loosen its grip on banning agents in college sports. Legal Blitz Co-Founder, Steve Silver, is often agitating the NCAA, whether testifying at legislative hearings in support of student-athlete trust funds or educating others about college athletes’ due process rights. However, this time Silver joined forces with frequent Legal Blitz contributor and Coastal Carolina University sports management professor, Amanda Siegrist, to offer an overview of the NCAA change to the “No Agent Rule” as well as practical advice for future implementation. Silver and Siegrist’s article, “NCAA Begins to Change Culture in Wake of Oliver Case” appeared in the most recent issue of the Journal of NCAA Compliance. It can be found here. 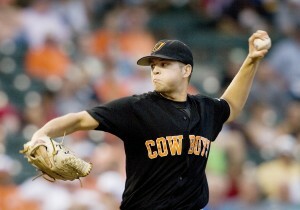 As a bit of background, in 2009, Andy Oliver, a pitcher for Oklahoma State University Men’s Baseball team, brought significant attention to the NCAA bylaw known as the “No Agent Rule” when he filed suit against the NCAA, becoming a catalyst for major change as the NCAA’s Power Five conference abolished the rule in January as applied to high school athletes. Their article explores the relevant bylaws, addresses the importance of the recent change implemented by the Power Five conferences in the wake of growing legal and public pressure, and provides practical advice for compliance by both the student-athlete and institutions. You can find Silver on Twitter @thelegalblitz and Prof. Siegrist @SiegristA.